Clinton-weary Democrats are looking to former President Barack Obama to lead the party into the 2018 midterm and 2020 presidential elections. Politico reported earlier this month that Obama’s political action committee, Organizing for Action, is assisting Democrats in 27 House races this year. 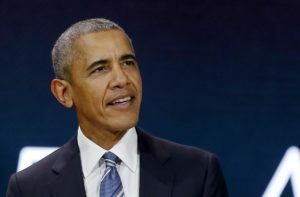 The former president has also been quietly meeting with potential 2020 Democratic presidential hopefuls, the report said. Many insiders are wondering why it took so long for Obama to rally to a seemingly leaderless party. Obama announced in March that he would like to create “a million” young leaders just like him to shape the human race.